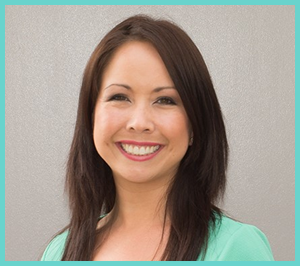 Dr Nerissa Green completed her Doctors in Clinical Dentistry specialising in Orthodontics at the University of Sydney and has been treating patients in the Newcastle area since 2010. Prior to becoming an Orthodontist Dr. Green worked as a General Dentist for 6 years and as an Associate Lecturer at the University of Sydney in the Departments of Oral Health and Tooth Conservation. Dr. Green was inspired to become an Orthodontist after having orthodontic treatment as a child which taught her first hand the difference that straight teeth can make to a person’s confidence and self esteem. Dr. Green is very dedicated and passionate about understanding the specific needs of each of her patients and creating beautiful smiles. Dr. Green regularly attends professional development conferences and is a member of the Australian Society of Orthodontists, the Australian Dental Association and the Royal Australasian College of Dental Surgeons. Outside of the practice, Dr. Green enjoys spending time in Newcastle with her husband and two children. Dr. Green is an active member of the Community and Charlestown Orthodontics is a sponsor of the Charlestown City Blues Football Club. If you are wondering how our practice can help you or your family, please contact Charlestown Orthodontics today to schedule your first visit with us!